National Youth Choir of Canada, 2014; All-state choruses in more than thirty states (1988 – 2015); International Women’s Day Concert, Lincoln Center (2014), with UofT Women’s Chamber Choir; Women’s Chorus Festival, Lincoln Center (2012); Ontario Youth Choir (2011); festivals in Switzerland and Rome (2008 – 2011); War and Peace: Music of Brahms and Beach, Carnegie Hall, 2010; Mormon Tabernacle Choir “Music and the Spoken Word,” 2009. 1) Publications: (a) Book chapters -- Music for women’s choirs by Canadian composers. In D. Spurgeon (Ed.) Conducting Women’s Choirs: Strategies for Success. Chicago, IL: GIA Publications, Inc., 2012. Finding balance: personal and professional. In J. Conlon (Ed.) Wisdom, Wit and Will: Women Choral Conductors on Their Art. Chicago, IL: GIA Publications, Inc., 2009. Women conductors as leaders and mentors. In J. Conlon (Ed.) Wisdom, Wit and Will: Women Choral Conductors on Their Art. Chicago, IL: GIA Publications, Inc., 2009. (b) Articles -- More than 80 articles and reviews on choral conducting, repertoire, pedagogy, and leadership (ACDA Choral Journal; Canadian Music Educator columnist; Music Educators Journal; Journal of Music Teacher Education). Book proposal on the life and music of Ruth Watson Henderson. Dr. Hilary Apfelstadt is Director of Choral Activities and Professor of Conducting at the University of Toronto where she was named the inaugural Faculty Teaching Excellence Award winner in 2013. She holds the Elmer Iseler Chair in Conducting. She is also Artistic Director of Exultate Chamber Singers, a semi-professional ensemble in Toronto. Raised in Nova Scotia, she earned degrees from the University of Toronto, the University of Illinois, and the University of Wisconsin-Madison. She holds an ARCT in piano performance. 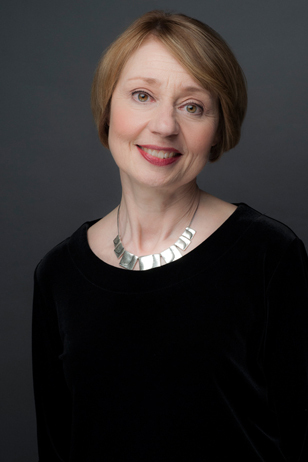 Formerly Director of Choral Activities and Associate Director of the School of Music at the Ohio State University (1993 – 2010), she has conducted choirs at divisional and national conferences of the American Choral Directors Association (ACDA), and conducted the University of Toronto MacMillan Singers at Podium 2012, the national conference of Choral Canada. She has led choral festivals in Europe, and at Carnegie Hall and Lincoln Centre in New York. In 2009, she conducted the Mormon Tabernacle Choir in a live broadcast of “Music and the Spoken Word.” She has directed all-state choruses in 35 states and led the 2011 Ontario Youth Choir. She conducted the 2014 National Youth Choir of Canada in an all-Canadian program in a tour of the Maritimes, culminating with a performance at Podium in Halifax, N.S. For several years, Dr. Apfelstadt was a member of the Robert Shaw Festival Singers and recorded two Grammy award winning CD’s with them in France. She is a prolific author, having published multiple articles in professional journals, as well as several chapters in two books: Wisdom, Wit and Will: Women Choral Conductors on their Art (GIA, 2009) and Conducting Women’s Choirs: Strategies for Success (GIA, 2012). She is a contributing author to Teaching Music in Performance Through Choir, volume 4, which is slated for publication in 2017 (GIA). A member of the Editorial Board for the ACDA Choral Journal, she also writes a regular choral column for The Canadian Music Educator, the Canadian Music Educators Association journal. Her research interests include choral pedagogy; repertoire, particularly of Canadian composers; and leadership styles among conductors. She is currently preparing a book on the life and work of Canadian composer, Ruth Watson Henderson. She is a frequent conference presenter and often does conducting master classes at various levels, including several university residencies. While working in the U.S., she served ACDA both as Central Division President and also as National President. She is a Life Member of the organization.